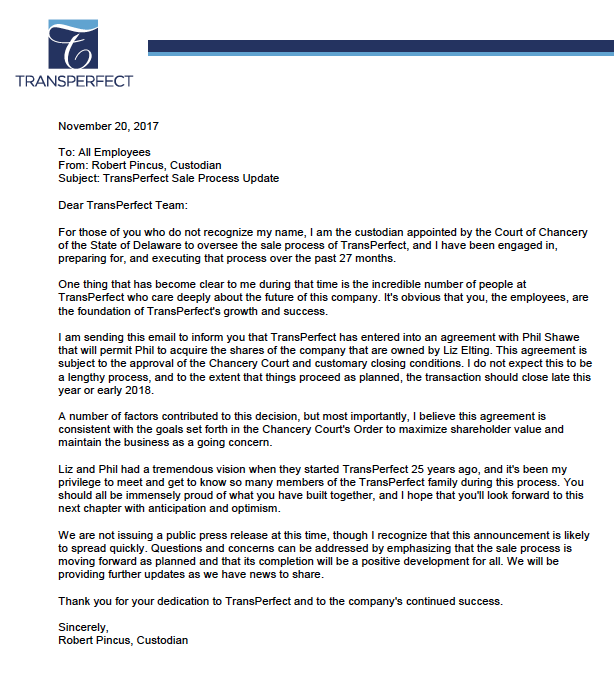 Why should Delaware and Delawareans care about the TransPerfect Case? Read the memorandum that Citizens for a Pro-Business Delaware submitted to the Delaware Bar Association's Section of Corporate Law and the amicus brief, the motion for reargument, the opposition motion, and Senator Bonini's opposition motion that Citizens for a Pro-Business Delaware filed with the Delaware Supreme Court. Read the dissent by Justice Karen L. Valihura of the Delaware Supreme Court. See the analysis on our most recent poll and recent memo.